Early this year, Blue Cross and Blue Shield of Florida combined two plans to give its members increased benefits at a very affordable rate. The plan is called Blue Options Health Plan 700 also known as Hospital / Surgical Plus, which is a Florida individual health insurance plan. You may have seen BCBS’ commercials promoting Go Blue coverage. This coverage is great for people who can’t ordinarily qualify for a major medical plan. It doesn’t offer hospital or surgical benefits, but will give you access to Doctor’s and Specialists. This plan is not medically underwritten. It comes with coverage for labs, dental and some prescription relief. For many years, BCBS has had a hospital / surgical plan, which covers the larger bills incurred with a hospital stay or outpatient surgeries. There was no Doctor or Specialist coverage on this plan for ordinary visits. Today, Blue Cross and Blue Shield of Florida has combined the Go Blue and hospital /surgical plans to make a low cost option for those who want major medical protection and gain access to Doctors and Specialists. This is the Blue Options Health Plan 700 or Hospital / Surgical Plus plan. Caution: This plan pays well for inpatient hospital stays and in or out patient surgeries. Although, this plan has a low premium and low deductible, there are some limitations regarding outpatient hospital coverage to consider when not in proximity to a surgical procedure. You may not receive out of pocket maximum protection for certain treatments in an outpatient setting. 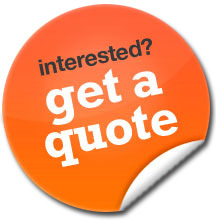 We encourage you to contact us for a quote on this plan, for further explanation and/or for alternative plan options. Our phone number is 352-200-2066. Finally, you’ll be able to access medical care and cover huge financial losses should a catastrophic event occur with this BCBS Florida individual health insurance plan. 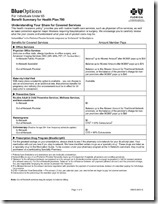 BCBSFL Blue Cross Blue Shield Florida Blue – 2012 Benefit Matrix–A Plan For Everyone!